Choose Kemper Shuttle Service for all your transportation needs. We have extensive experience in the management of safe and cost-effective transportation. We have been operating NEMT in Hamilton, Butler, Clermont, Warren Counties for over 10 years. We operate NEMT using minivans. Kemper Shuttle Services provides car seats, or buster seats upon request. 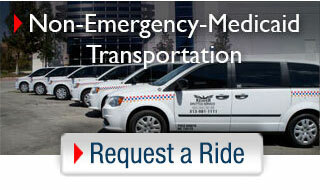 Our highly-qualified team members, are able to handle various aspects of specialized transportation. Kemper Shuttle Services assures that we are more than capable to customize a solution that fits your needs. Kemper Shuttle drivers are screened as followed; Nationwide Background Check and FBI/BCI Check, USDOT Medical Exam, Drug and Alcohol Test, CPR and First Aid, Defensive Driving Course (DDC), Passenger Service And Safety(PASS). Certified by Ohio Department of Public Safety, Division of Emergency Medical Services (EMS).